Abstract. Vision depends on motion: we see things either because they move or because our eyes do. What may be more surprising is that large and miniature eye motions help us examine the world in similar ways - largely at the same time. In this presentation, I will discuss recent research from my lab and others suggesting that exploration and gaze-fixation are not all that different processes in the brain. Our eyes scan visual scenes with a same general strategy whether the images are huge or tiny, or even when we try to fix our gaze. These findings indicate that exploration and fixation are not fundamentally different behaviors, but rather two ends of the same visual scanning continuum. They also imply that the same brain systems control our eye movements when we explore and when we fixate - an insight that may ultimately offer clues to understanding both normal oculomotor function in the healthy brain, and oculomotor dysfunction in neurological disease. Bio. Susana Martinez-Conde is a Professor of Ophthalmology, Neurology, and Physiology & Pharmacology at the State University of New York (SUNY) Downstate Medical Center, where her research program bridges perceptual, oculomotor, and cognitive neuroscience. She directed laboratories previously at the Barrow Neurological Institute in Phoenix and at University College London in the UK. She received her postdoctoral training from Nobel Laureate Prof. David Hubel at Harvard Medical School, where she was later an Instructor in Neurobiology. Prof. Martinez-Conde received the Empire Innovator Award from the State of New York. Her work with Parkinsonian patients was honored with the EyeTrack Award, a global science prize given annually to a single cutting-edge publication in eye movement research. Prof Martinez-Conde has received various other distinctions, including the “100 Spaniards” Prize. She complements her award-winning research with science communication, education and public outreach. She writes for Scientific American and has a regular column in Scientific American: MIND on the neuroscience of illusion. Prof. Martinez-Conde is the 2014 recipient of the Science Educator Award, given by the Society for Neuroscience to an outstanding neuroscientist who has made significant contributions to educating the public. Prof. Martinez-Conde's research has been featured in print in The New York Times, The New Yorker, The Wall Street Journal, Wired, The LA Chronicle, The Times (London), The Chicago Tribune, The Boston Globe, Der Spiegel, etc., and in radio and TV shows, including Discovery Channel's Head Games and Daily Planet shows, NOVA: ScienceNow, CBS Sunday Morning, NPR's Science Friday, and PRI's The World. She works with international science museums, foundations and nonprofit organizations to promote neuroscience education and communication. Her international bestselling book ‘Sleights of Mind’ was published in 21 languages, listed as one of the 36 Best Books of 2011 by The Evening Standard, London, and received the Prisma Prize to the best science book of the year. Her new book, ‘Champions of Illusion,’ was published by Scientific American/Farrar, Straus and Giroux. Abstract. The measurement, analysis, and use of human gaze has a long history in various academic disciplines and in industry but has long been limited to special application domains or user groups. Driven by the recent commercial breakthrough of virtual and augmented reality technology, as well as the advent of affordable stationary and head-mounted eye trackers, gaze interfaces are on the verge to finally become available in a wide range of consumer applications and to be used by millions of users on a daily basis. These latest advances pose an important question - what is next? Bio. 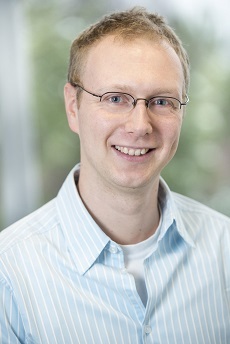 Dr. Andreas Bulling is head of the independent research group Perceptual User Interfaces at the Max Planck Institute for Informatics and the Cluster of Excellence on Multimodal Computing and Interaction (MMCI) at Saarland University. He received his MSc. in Computer Science from the Karlsruhe Institute of Technology (KIT), Germany, focusing on embedded systems, robotics, and biomedical engineering. He holds a PhD in Information Technology and Electrical Engineering from the Swiss Federal Institute of Technology (ETH) Zurich, Switzerland. Andreas Bulling was previously a Feodor Lynen Research Fellow and a Marie Curie Research Fellow in the Computer Laboratory at the University of Cambridge, UK, a postdoctoral research associate in the School of Computing and Communications at Lancaster University, UK, as well as a Junior Research Fellow at Wolfson College, Cambridge. He is UbiComp steering committee member and serves on the editorial boards of the Proceedings of the ACM on Interactive, Mobile, Wearable, and Ubiquitous Technologies, ACM Transactions on Interactive Intelligent Systems, and the Journal of Eye Movement Research. He also served as co-chair, TPC member and reviewer for major conferences, most recently as TPC co-chair for ACM UbiComp 2016 and IEEE PerCom 2015 as well as associate chair for ACM ETRA 2016 and 2018, as well as ACM CHI 2013, 2014, and 2018. In 2011 he founded the International Workshop Series on Pervasive Eye Tracking and Mobile Eye-Based Interaction (PETMEI), co-located with ACM UbiComp, ECEM, and ACM ETRA. Abstract. Over the past decade, eye tracking has shed light onto aspects of learning and instruction that could not have been addressed otherwise before. However, few of these insights have found their way to educational practice. To bridge this gap between this fundamental research and educational practice, we now must take a step from controlled laboratory settings towards real-life scenarios accounting for their full complexity. Bio. 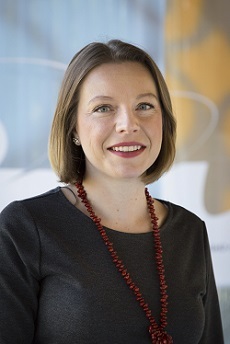 Dr. Halszka Jarodzka works as an associate professor at the Welten Institute, Research Centre for Learning, Teaching and Technology at the Open University of the Netherlands, where she chairs a research group on eye tracking in education (https://www.ou.nl/welten-learning-and-expertise-development). She also works part-time as a visiting scholar at the eye tracking laboratory of Lund university in Sweden (http://projekt.ht.lu.se/en/digital-classroom/). 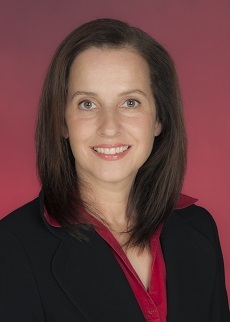 Furthermore, she is the founder and coordinator of the Special Interest Group “online measures of learning processes” of the European Association of Research on Learning and Instruction (https://www.earli.org/node/50). Her main research interest lie in the use of eye tracking to understand and improve learning, instruction, and expertise development.